This entry made the top 25 for the 2018 Carte Blanche competition in Toronto. Yeah, not that impressive. But my friend’s mom thought it was kinda cool. 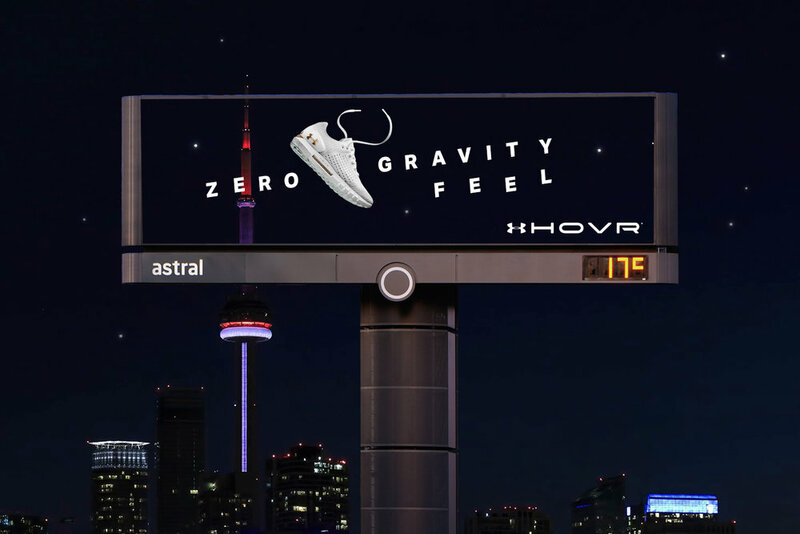 Gravity holds you down. 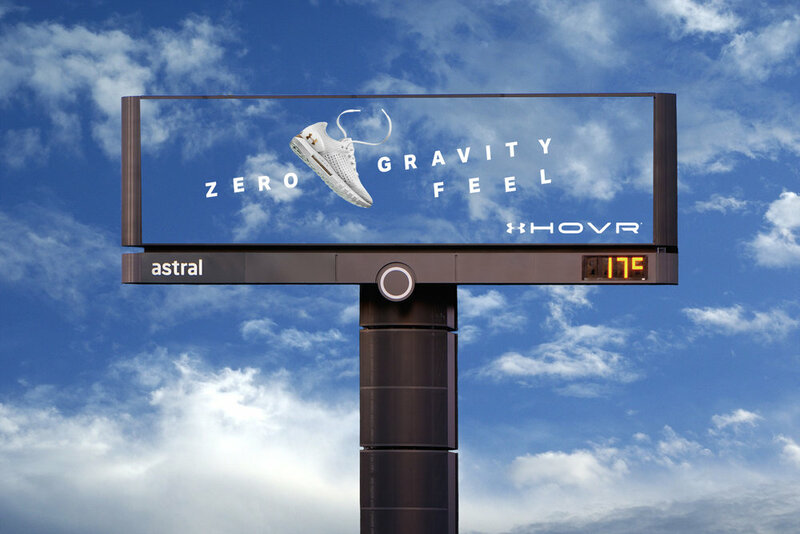 Under Armour HOVR™ technology lifts you up for a zero gravity feel. 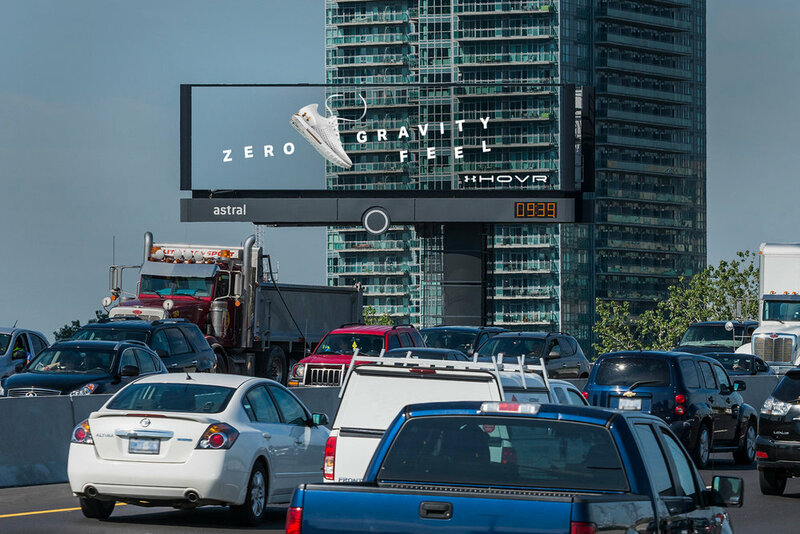 We'll demonstrate this by installing a camera on the back of the billboard that takes a picture of the landscape every minute and updates the background image of the ad each time it appears in the loop, creating the illusion that the shoes are hovering freely within the space.